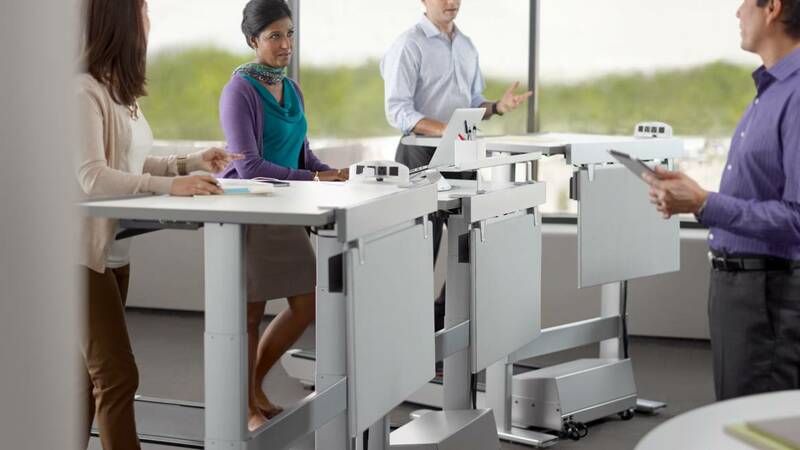 Movement throughout the workday can contribute to an employee’s wellbeing. 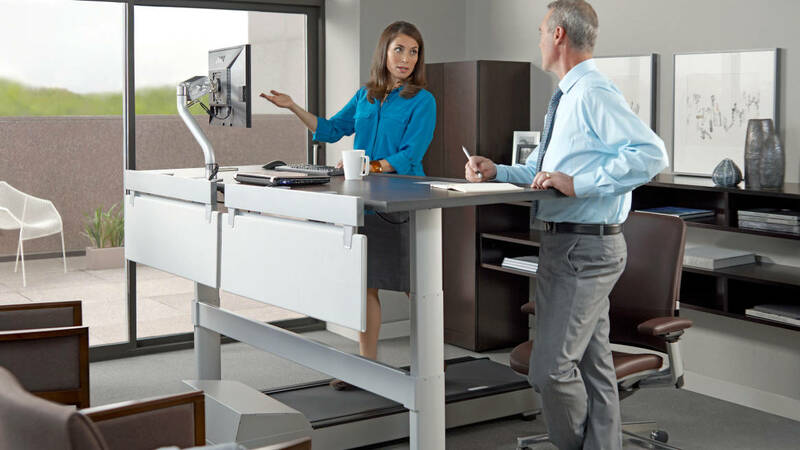 And nothing gives employees the choice of physical activity in their busy work lives quite like the Walkstation treadmill desk. 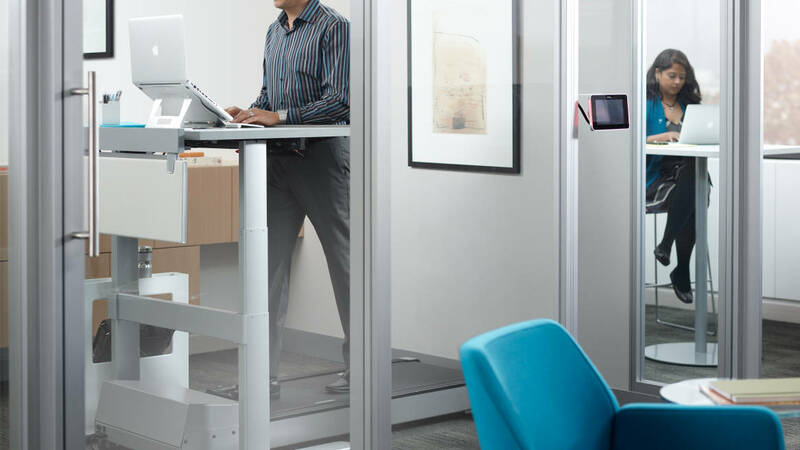 By offering the option of walking without disruption to the workday, employers can positively impact employees’ physical health and create an environment of engaged and productive workers. Commercial-grade treadmill with quiet, high-torque motor. Maximum speed of 2.0 mph, adjustable in 0.1 mph increments. Patented Soft System® surface with Neoprene shock absorbers. Easy-to-use digital display and touch pad controller for table height, user weight and treadmill speed. Records and displays time, distance, speed and calories burned. Magnetic safety clip for automatic shutoff. Precision balanced with 360 lb. dynamic load-bearing capacity. Treadmill receiver plate for stability. Optional SlatRail or Slatwall to accommodate adjustable monitor arm and worktools. Optional Privacy/Modesty Screens address visual distraction. Optional Cableway hides cables, cords and wires.